The court denied the order to show cause, stating that there was a failure by Joseph to show ‘actual imminent threat of harm’ to the child,’ and the court could not grant such emergency relief based on speculation. It did, however, grant temporary sole physical custody of the child to Joseph, pending a resolution on the application, because the court felt that there was the potential for violence in the mother’s home, which could negatively impact the child. Jane’s parenting time was also to be supervised by her mother. In turn, Jane responded with her own order to show cause, claiming that the child would suffer by his sudden separation from her. This was denied, with the judge again claiming there was no evidence for imminent harm supplied. At the hearing, there was significant conflict and contradiction by each party concerning the basic facts in the case. Jane’s attorney asked for the case to be put on the complex track, which was denied by the judge. The attorney wanted the opportunity for discovery and depositions to sort out truth from fiction, which would be afforded under the complex track. The judge denied it, stating that it was an ‘FD matter, not a divorce.’ Eventually, at the hearing, the court ordered joint legal and physical custody, but awarded Joseph primary residential custody, with Jane having visitation after school most weekdays, and parenting time every other weekend. Jane’s fiancé was also forbidden to be alone with John. On appeal, the court addressed several failures by the trial court to follow procedural rules and child custody laws in NJ. First, the court noted that a thorough plenary hearing is required in a custody battle when parents make significant contradictory statements of fact. This is called a plenary hearing. The proceeding in question was not considered a plenary hearing by the appellate court. Rather, they characterized it as a ‘back and forth’ of questioning between the parents, with Jane’s attorney being prevented from participating meaningfully at all. The court refused to allow discovery, expert witnesses, or cross-examination. Despite this, the court made a significant change in custody, without any evidential basis and without providing a statement of reasons as to why it came to such a conclusion. The appellate court acknowledged that court calendars and dockets concerning ‘FD’ applications were often crowded and rushed. However, simply because a case is FD, rather than a dissolution of marriage, does not mean that judges should attempt to decide without marshalling all potential judicial resources. Particularly in this case, when there had been no previous custody determination by a court. The court, upon reaching its conclusion, also failed to make fact-findings and apply such facts to the statutory factors outlined in child custody laws in NJ. If a court decides concerning a custody arrangement, but it is not agreed to by both parents, then the judge must identify – on the record – the specific reasons to support his or her judgment. Because the accusations by each party were significant, it is concerning that the judge made no findings as to the facts in question. Both parties alleged facts that could affect the child’s welfare if he was being cared for by the other parent. However, these facts were not corroborated or substantiated beyond their own, biased testimony. In fact, many of Joseph’s allegations were based on things he had heard from others, and not his own personal knowledge. In addition, before a plenary hearing is held, the parties should be sent to mediation. Failing that, they must fill out a parenting plan. Additionally, when the parties make conflicting statements concerning the child’s welfare and well-being, a report by an objective third-party should be ordered by the court. None of these steps were followed by the trial court, leading to at the very least, an unjustified (or at the very worst, an unfair) result. The appellate court reversed and remanded to another trial judge, in the event the original judge formed an unfair opinion on the proceedings before. 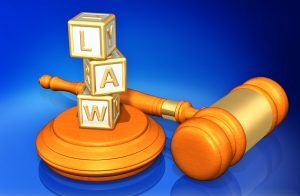 A thorough understanding of basic procedural rules and requirements can be a significant factor in having a successful family law case. If you want to speak to a lawyer who can competently advise you on child custody laws in NJ, contact the Law Office of Peter Van Aulen today for a free consultation, at (201) 845 – 7400.